In the October of 2008, during one afternoon at Peasedown Youth Centre, the first ever Party in the Park meeting was held. Those present included representatives from groups that had hosted events before, and a collection of brand new people who wanted to get ‘stuck in’. From the early beginnings of pulling together ideas on a large sheet of flip chart paper, the Peasedown Party in the Park brand was born. The first event, pitched as a grand family fun day, was opened in 2009 by Glastonbury Festival founder Michael Eavis and held in the new location of Beacon Field. With a small stage for musical performances and around 1,500 people attending, this was a great start to a string of successful festivals. Now, nine years on, Peasedown’s Party in the Park festival has become one of the most popular in the region, with almost 2,500 visitors and more than £7,000 being secured each year to fund the event. 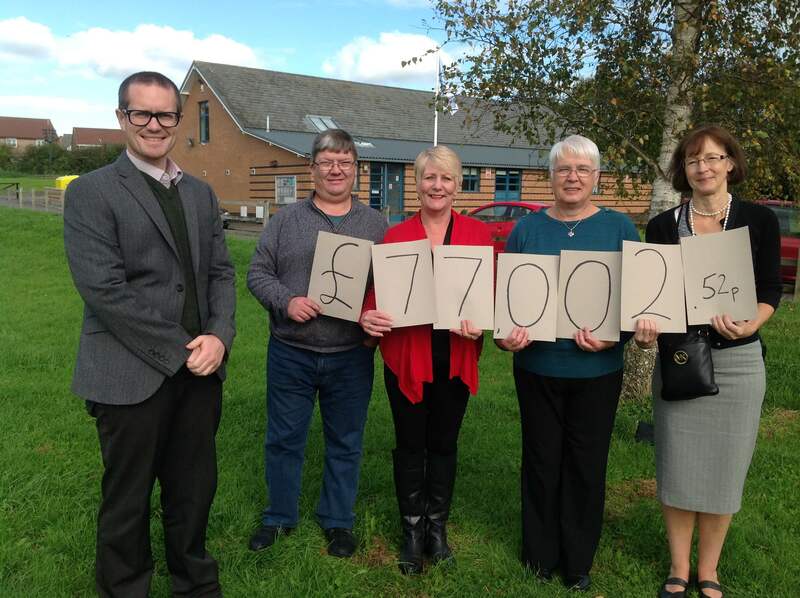 Last week, the festival committee held their Annual General Meeting where the total amount raised from 9 festivals and 6 Christmas in the Park events through sponsorship, stall holder fees and entrance gate donations, was revealed. As well as events, the team run a volunteer scheme which gives those that take part the chance to receive a reference for education or employment; a Grant Fund which supports Peasedown-based projects; a community award in memory of the late Sara Holley; and they have launched their own exclusive cider – Peasedown Diamond. Festival Chairman Nathan Hartley believes none of these could have been achieved without the support of faithful volunteers who give up their time each year. The Party in the Park volunteer scheme, Be Part of It, gives volunteers the chance to sign up and in return receive a certificate, and food vouchers to use on the day of the festival. Organisers have now set a date for the 10th Annual Party in the Park next year: Party in the Park 10; Saturday 9th June 2018, 12noon – 7pm, Beacon Field, Peasedown St John.